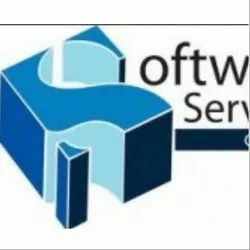 Our offshore software development services are intended to serve businesses that are software outsourcing development and programming to India. By judicious blend of Business analysis & Management. Are you an independent consultant with strong domain expertise or a software company Exploring avenues to work together interests Six Cube Technologies today and always. Now you can open offshore web development center by hiring your own employees. Build your team now! FCM has a dedicated client servicing team that serves offshore clients - 24/7, 365 days a year. Our specialist off-shore team is backed up by a fully resourced call center and provides seamless travel services that suit the clients operating environment and local time-zone. Green Ship Technologies's offshore engineering division provides various supports for oil & gas industry. Our lead engineers are having good experience in oil & gas industry and were involved in various projects around the globe. We also work for overseas companies, based on website development, website design, Application development, Software development and any other kind of data outsourcing.We have years of experience in project management. Our ISO certification and QMS standardization has laid the platform for taking up more off-shore projects to really create exponential growth in the years to come. Our value proposition includes the advantages of cost, time saving, flexibility of manpower and Project Management Control. While Technology outsourcing, specifically to offshore countries provides access to talent pool, competitive rates and the ability to manage team ramp up and ramp down based on client needs, there needs to be a well defined strategy, plan and program management to fully leverage the benefits of offshore outsourcing. Understanding the client's needs to focus on core business, Synconics Technologies helps by setting up a dedicated Offshore Software Development Center (ODC) and Offshore Software Development Outsourcing services. Synconics Technologies's ODC (Offshore Development Center) focus mainly on three broad areas of IT expertise. SHROFF COMPUTERS is one of the most reliable offshore outsource for all kinds of web services providers of India since 1997.